People have never been as crazy about food and cooking as today. Switch on your TV and you’ll see people tossing pots and pans around. 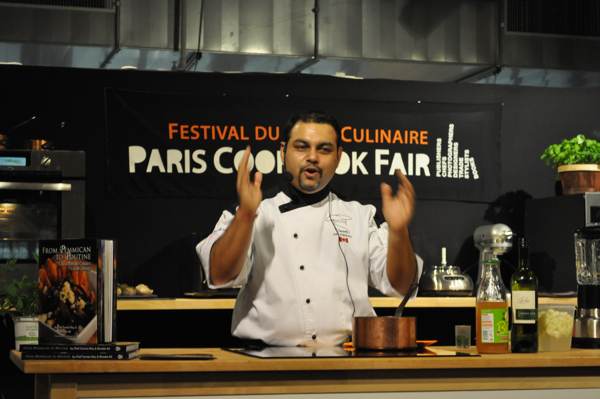 The French Chef, The Naked Chef, MasterChef, Top Chef, you name it. Steaming and sizzling everywhere. For a while, I thought, cooking in TV has replaced the real thing: haven't we read over and over again that people actually don’t like to peel potatoes, chop carrots, slice meat - and do the dishes? All that laborious stuff we call cooking? With the sound of the microwave bell replacing mom’s call: dinner is ready!? Meanwhile, and for several years, we have observed a cooking renaissance. It’s a global phenomenon. Consequently, there is no other branch in the publishing business where numbers of book titles and numbers of copies sold grow at such a pace. In France, each year 1756 cookbooks are published, almost five a day. Last year, the number of publications surged by 4 percent, the year before by 13 percent. 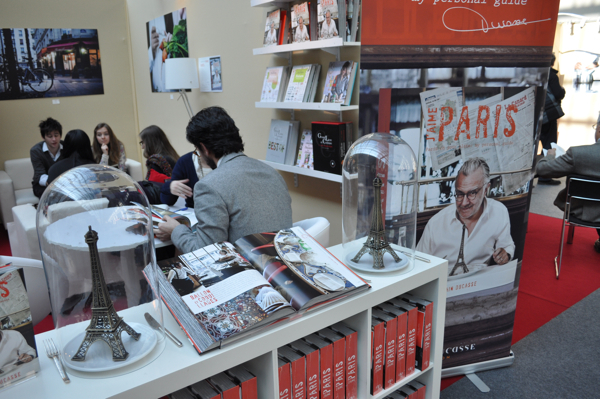 For the second edition of the Paris International Cookbook Fair publishers, authors, chefs, distributors, bookseller and simple enthusiasts meet at 104, an enormous centre for creation in Paris’ 19th arrondissement. Or enjoy watching chefs cooking in the show kitchen. It’s generally fun to observe celebrities cooking at arm's length: Bob Blumer, Vefa Alexiadou, Greece’s best known chef for traditional Greek cuisine, or Indian-Canadian chef Suman Roy. 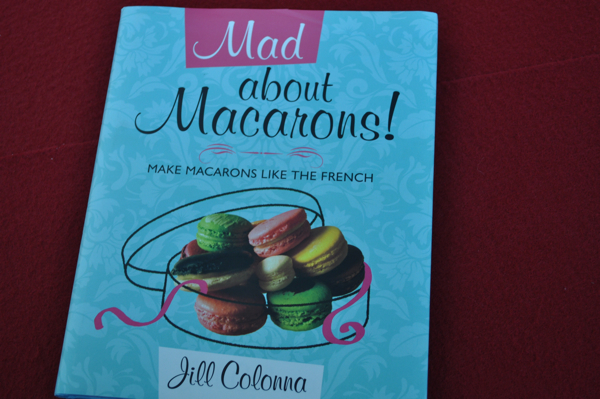 It’s fun for the public and also offers a chance for cookbook authors to start an international career. Last year, after 45 minutes of demonstration, one young cookbook author sold the rights to five countries. At the same time, conferences go on all day long, they're about: global tendencies, how to become your own brand as an author, and the new markets with apps and taps and other stuff. People visiting the fair which runs until Sunday, 6th March 2011, 7pm, will definitely enjoy the international bar where wines, cocktails, spirits and even Blåbär is tasted, a delicious blueberry drink made from freshly squeezed, wild blueberries from the Swedish forests. “The perfect alcohol-free alternative to red wine”, they say. Well, tell this to a French guy and he’ll burst out laughing. 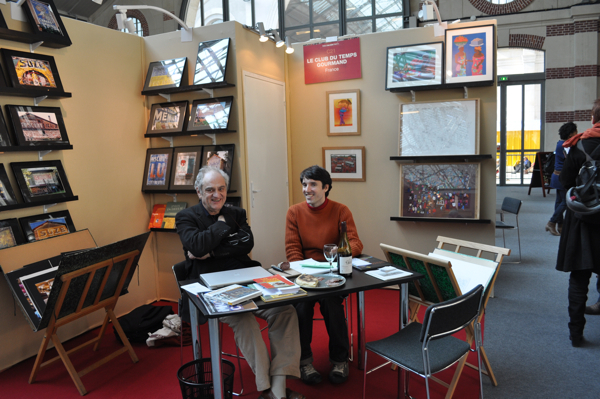 Like the guys from the French publishing house “The Club des Temps Gourmands”, sitting in their booth enjoying sausages, bread and a bottle of red wine at lunch time. They don’t look unhappy. And they won't like Blåbär. In another booth I met my friends from aix&terra who launched their own brand reinventing traditional recipes using the culinary know-how of Provence. 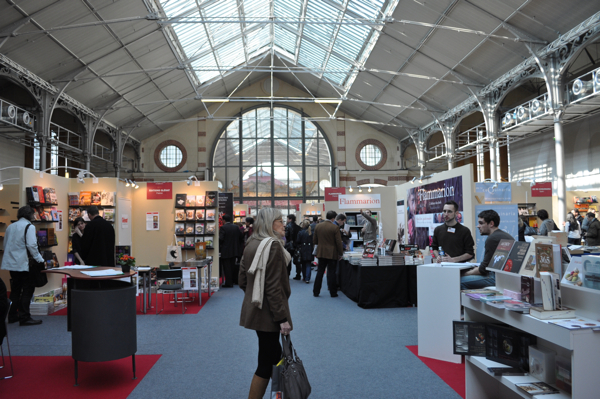 I had met them the night before, when we visited the giant markets of Rungis right on the southern doorstep of Paris. Do you know, when we had our first glass of wine? At 8 in the morning. And it didn't felt strange at all. Blueberry juice? No, bread, salami, red wine and everything is fine! 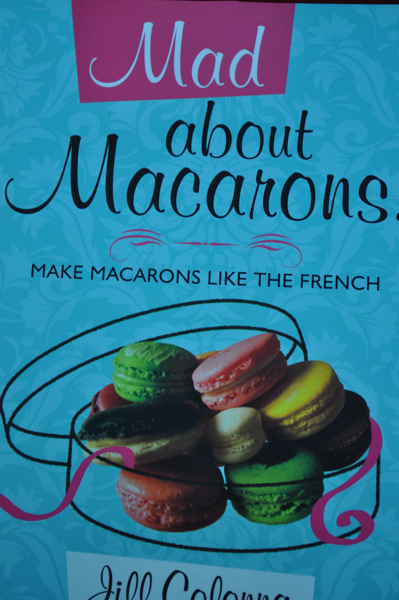 Mad about Paris or mad about macarons?